Midwestern University has a proud and impressive history. 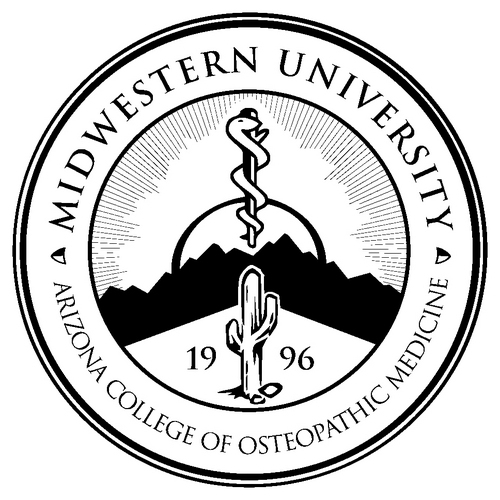 Founded in 1900 as the American College of Osteopathic Medicine and Surgery by J. Martin Littlejohn, Ph.D., D.O., M.D. (1865-1947), the organization was incorporated in Chicago, Illinois, to train physicians in a not-for-profit environment. Today, Midwestern University is still governed by the strong principles of the founding administration and faculty. We are an independent, not-for-profit corporation organized primarily to provide graduate, and postgraduate education in the health sciences. We are dedicated to the education and development of our students, faculty, and staff in an environment that encourages learning and personal development. 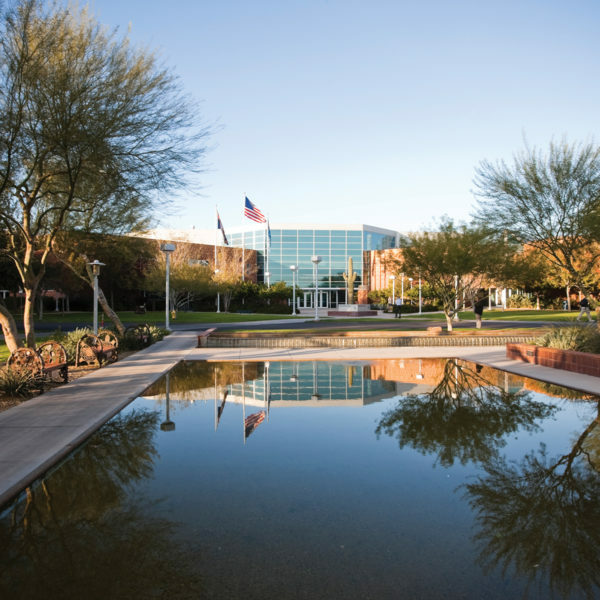 Sahuaro Hall, with lecture halls, conference rooms, and laboratory classrooms boasting the finest in educational equipment and medical resources (64,850 sq ft). 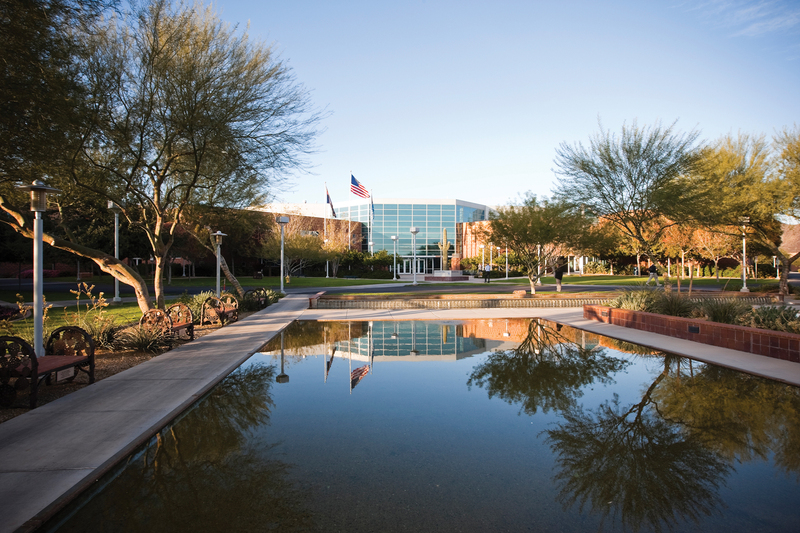 Cholla Hall, with two lecture auditoria, modern pharmacy laboratories, multi-use classrooms, and a computer lab (37,976 sq ft). Ocotillo Hall, with cutting-edge practice labs, classrooms, and a 600-seat dividable auditorium (40,000 sq ft). Agave Hall, with state-of-the-art anatomy and osteopathic manipulative medicine labs, as well as several multi-purpose spaces (40,000 sq ft). Glendale Hall, featuring classrooms, faculty offices, and a dental simulation lab (130,000 sq. ft.). Foothills Science Center, which houses faculty research facilities (26,765 sq ft). Mesquite Hall, home of the Clinical Skills & Simulation Center which offers human and technology-based simulation models for MWU students to practice clinical skills; features 19 clinical and 6 specialty exam rooms, a mock OR/ER, scrub room, and student testing/faculty observation areas with high-resolution video. 2,600-seat Auditorium with classroom space for lectures and large campus events (40,000 sq ft). Recreation & Wellness Hall, with gymnasium and exercise facilities, and special rooms for music, crafts, and dance/aerobics (26,135 sq ft). Four Barrel Student Center buildings, which are home to University departments including Admissions, Financial Aid, University Relations, Communications, Human Resources, Information Technology, Campus Security, and the Stagecoach Dining Hall. Student amenities include lounges, game room, and outdoor basketball courts and a sand volleyball court. Comprehensive medical library with computer resources and study rooms. Chanen Interfaith Chapel, with space for personal reflection, student organizations, special events. The Midwestern University Multispecialty Clinic, offering comprehensive family medical treatment in six specialty areas, including Clinical Psychology, Family Medicine, Foot and Ankle Services, Osteopathic Manipulative Medicine, Speech-Language Pathology, and Pharmacy Services. The apartment complex consists of studios and one- and two-bedroom apartments that feature ample study and living space; kitchen with range, oven, and refrigerator; wireless Internet; and cable television. The complex also has a swimming pool, volleyball court, sand play area for children, picnic and barbecue areas for residents and their guests. AZCOM uses a rolling admissions process in which applications are reviewed and interview decisions are made at each interval during the admissions cycle. Interviews are conducted and selection decisions for the College are made until the class is filled. Applicants are notified of their selection status within two to four weeks after their interview date. To be competitive within this process, candidates should apply early in the admissions cycle.Within its competitive admissions framework, the College uses multiple criteria to select the most qualified candidates from an applicant pool that exceeds the number of seats available. AZCOM typically receives over 5000 applications for its 250 seats. Applicants must meet all of the admissions requirements listed previously to be considered for on-campus interviews. After the Office of Admissions receives all of the required application materials, applicant files are reviewed to determine whether applicants merit interview invitations based on established criteria of the Admissions Committee. Applicants who are invited to interview will be contacted by the Office of Admissions and receive instructions for scheduling their interviews via the University’s web-based scheduling system. Additional applicants may be placed on an interview “Wait List” pending possible interview openings toward the end of the interview cycle. When applicants accept interview appointments, they join other interviewees to meet with members of an interview panel selected from a volunteer group of basic scientists, current students, administrators, and clinicians. Panel members assess applicants for their academic and personal preparedness for medical school, and their understanding of the osteopathic physician’s role in the healthcare team. They rate applicants on a standardized evaluation form relative to each variable. At the conclusion of the interviews, the panel members forward their applicant evaluations to the Admissions Committee. The committee may recommend to accept, to deny, or to place the applicant on either the hold or alternate list. This recommendation is then forwarded to the Dean of AZCOM for final approval. The Dean, via the Office of Admissions, notifies accepted applicants within three to four weeks of their interview. Must complete a minimum of 30 semester hours of coursework from a regionally accredited college or university in the United States, or from a recognized post secondary Canadian institution that uses English as its primary language of instruction and documentation. Of the 30 semester hours, 15 hours must be in the sciences, six hours in non-remedial English composition, and three hours in speech/public speaking. Source: 2018-18 tuition. Data subject to change.